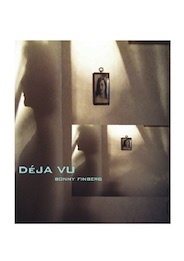 The cover image is “Déja Vu” by the author. I’m reminded of Plath, Shapcott and Selima Hill. There are similarities to experimental poets; Emily Critchley comes to mind. But there’s also a considerable freshness to Finberg’s work, particularly when her use of photographic art is taken into account. She is, I’m sure, a poet we’ll be reading much more from in the future. I strongly recommend buying this pamphlet. Lindsay Holland, Sabotage Reviews.